Turkey and Iran conducted and finished their first ever joint anti-terror operation targeting the PKK terrorist group near the border between March 18-23, Interior Minister Süleyman Soylu said late Monday. 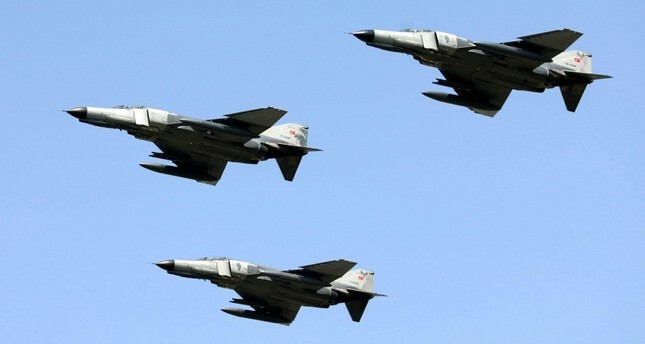 In a phone call last Wednesday, Turkish and Iranian military officials said the simultaneous and coordinated operation would continue for "some more time." The two sides said they are determined to continue counterterrorism fight. The PKK and its Iranian affiliate, the Kurdistan Free Life Party (PJAK) use the Qandil mountains, located roughly 40 kilometers southeast of the Turkish border in Iraq's Irbil province, as headquarters for the terrorist group. Although the PKK was headquartered in Syria until 1998, currently, the terrorist organization is now controlled from its headquarters in northern Iraq's Qandil Mountains. The Kurdistan Communities Union (KCK) serves as an umbrella group for terrorist groups functioning under the names of the PKK in Turkey, the Kurdistan Democratic Solution Party (PÇDK) in Iraq, the PJAK in Iran and the Democratic Union Party (PYD) in Syria and its armed wing the People's Protection Units (YPG), which currently control some one-third of the Syrian territory and dominate the U.S.-backed Syrian Democratic Forces (SDF) group.